They can also transform the shape, size and length of a person’s teeth. Veneers consist of thin tooth-colored shells which are made of a medical-grade ceramic. The veneers are custom made for each patient and are typically bonded to the outer surface of the teeth. Although placing dental veneers provides a better smile, there are some possible risks patients should be aware of before getting veneers. Before dental veneers can be bonded, there is some prep work which needs to be done to the natural teeth. For the veneers to attach to the teeth and fit properly, the dentist must remove a few layers of enamel. A risk of increased tooth sensitivity may occur since the nerves are now closer to the tooth’s surface. 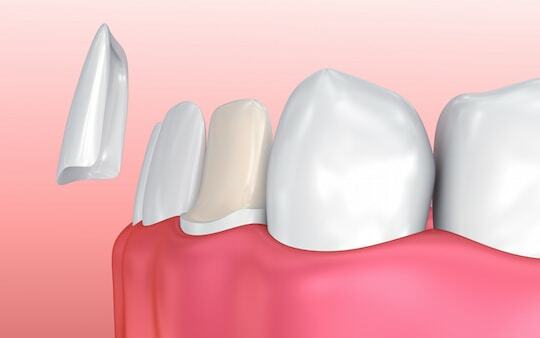 Shaving off layers of the enamel is a permanent alteration to the teeth and makes porcelain veneers irreversible since the enamel is the protective layer of the tooth. Once a patient receives veneers, they will always need them. Much like natural teeth, veneers can become worn down, chipped or cracked. Some people have the habit of grinding their teeth at night and this can wear down the teeth. 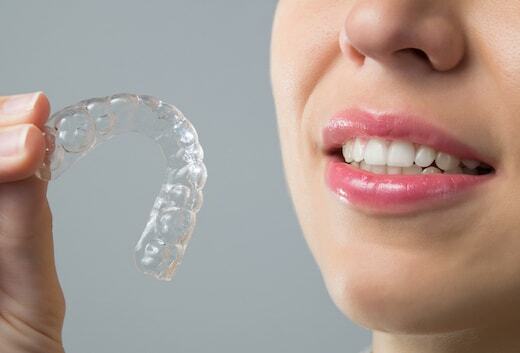 A mouth guard can help protect the teeth at night. During the day, the patient should understand that chewing hard foods such as nuts and seeds can chip the veneers. Furthermore, the natural teeth are designed to slightly expand and contract when consuming hot and cold things. Over many years, these thermal changes can possibly cause the veneers to crack. Plus, the density of the cement (in comparison to the veneer) can cause the porcelain to crack. This can transpire due to the shrinking of the material as it sets. Sometimes a minor chip or fracture can be repaired with a white dental bonding material. If anything more than minor damage occurs to the veneer, the whole thing will need to be replaced. With proper care, dental veneers can last 15 to 20 years. Veneers that are poorly fitted can alter the patient’s bite alignment and cause sensitivity while eating as well as jaw pain and discomfort. Dental veneers will be colored to match the rest of the patient’s teeth to promote even coloration and overall harmony. Patients who wish to have whiter teeth should undergo whitening treatments prior to getting veneers since the color of the veneers cannot be changed once they are in place. Consequently, the color of the veneers will be matched with whiter teeth. Although it is usually a good thing for an object to be difficult to stain, this is not always the case with dental veneers. Veneers do not stain as easily as the natural teeth and the surrounding teeth may appear darker over time and cause the veneers to stand out more. 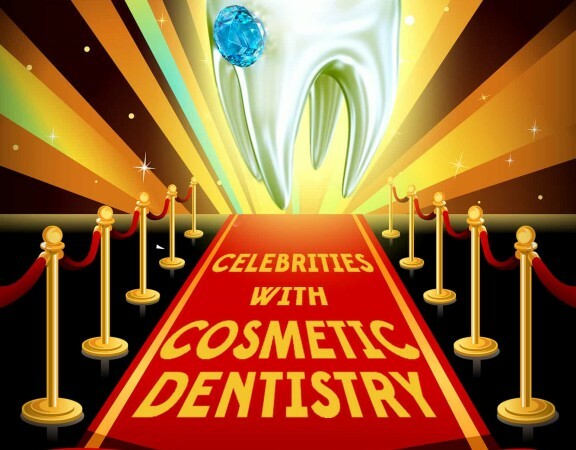 However, teeth whitening can lighten the discoloration of the natural teeth without harming the veneers. 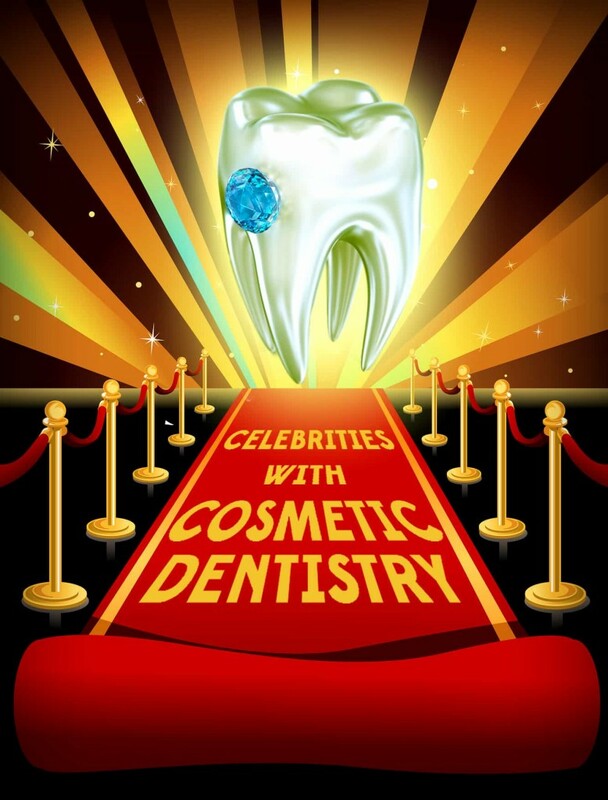 It is best to consult with a cosmetic dentist prior to any teeth whitening treatment. 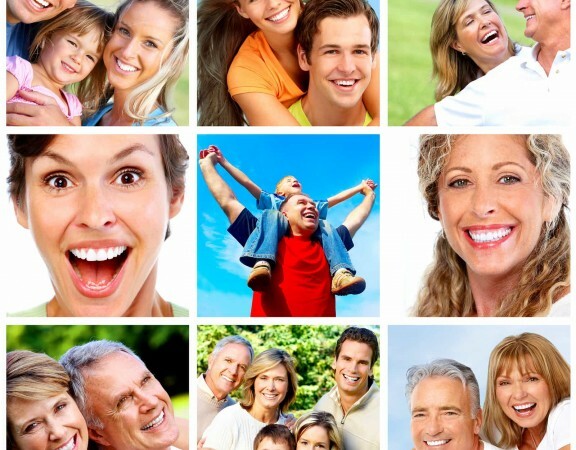 As people age, the gums begin to shrink at a natural rate of 1-2mm every 10 years. However, the amount of shrinkage can be influenced and accelerated by gum disease or toothbrush abrasion. One of the risks of having veneers includes the visibility of their margins which were once hidden by the line of the gums. Even if the integrity of the veneers is still intact, the patient may opt to replace them for aesthetic purposes.